"The Golden Kite Awards are "given annually to recognize excellence in children’s literature, grant cash prizes of $2,500 to author and illustrator winners in four categories: Fiction, Nonfiction, Picture Book Text, and Picture Book Illustration." In addition "to the four Golden Kite Award winners, four honor book recipients will also be named by the panel of judges which consists of children’s book writers and illustrators. Instituted in 1973, the Golden Kite Awards are the only children’s literary award judged by a jury of peers. More than 1,000 books are entered each year. Eligible books must be written or illustrated by SCBWI members, and submitted either by publishers or individuals." For more information take a look at the Golden Kite Award webpages. Every year the Swedish government awards an international prize in memory of Astrid Lindgren. Astrid Lindgren was the writer who created Pippin Longstocking, a book character beloved by children all over the world. The literature prize is unique because authors, illustrators, story-tellers, and organizations are all eligible. Anyone who has made "valuable contributions to the promotion of reading" is considered for the prize. "With perseverance, audacity and resourcefulness, the Tamer Institute has, for two decades, stimulated Palestinian children’s and young adult’s love of reading and their creativity. Under difficult circumstances, the Institute carries out reading promotion of an unusual breadth and versatility. In the spirit of Astrid Lindgren, the Tamer Institute acknowledges the power of words and the strength of books, stories and imagination as important keys to self-esteem, tolerance and the courage to face life." For more information about this year's winner please visit this webpage, and for more information about the award please take a look at this webpage. Labels: The Astrid Lindgren Memorial Award, The Tamar Institute. March is Women in History Month and I thought that this would be a great time to introduce you to the Amelia Bloomer Project. This blog provides readers with am "annual booklist of the best feminist books for young readers, ages birth through 18. 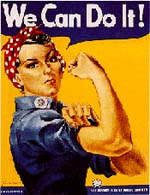 We are part of the Feminist Task Force of the Social Responsibilities Round Table of the American Library Association." You can see the 2009 list here, and I think you will also find all kinds of interesting posts on this blog. The books listed will help girls and young woman to find books that "celebrate the strengths of girls and women and nourish their potential." These are titles that "contain significant feminist content. We need not just cardboard “feisty” or “spunky” female characters, but tales of girls and women who have broken barriers and fought to change their situations and their environment." Just in case you wondering who Amelia Bloomer was, take a look at this Wikipedia article about this courageous woman who insisted on doing what she thought was right for herself and for other girls and women. I know that there have been many award announcements for children's literature of late. Perhaps your eyes are starting to glaze over when you see the word "award." Here is an award that I think is worth mentioning because it is for books that are all too often overlooked - nonfiction books. Let's face it, nonfiction books have a bad rap. "Boring" and "dull" are the kinds of words many children come up with when you mention the word nonfiction. 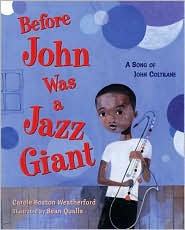 But, as so many wonderful writers and illustrators have shown, nonfiction titles need not be boring or dull. In fact they can be quite interesting, and entertaining too. 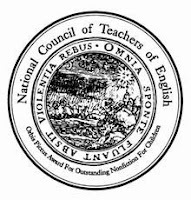 The NCTE Orbis Pictures Award for Outstanding Non-Fiction is therefore worth mentioning. You can see who the past winners for this award were here. If you are looking for a few St. Patrick's Day books to share with your children take a look at the TTLG St. Patrick's Day Feature. I hope you have a wonderful day. Labels: St. Patrick's Day, St. Patrick's Day books. A few weeks ago I interviewed Kathryn Fitzmaurice about her book The year the Swallows Came Early for a blog book tour. We have since spoken several times via email, and we are getting to know one another. I suggested that we do a series of postings about her life as a writer. In turn she suggested that we exchange posts. We would call them A Day in the Life of a Writer and we would post them on the same day on the 15th of every month. Here is Kathryn's first post. I have come to the conclusion that writing the second book is harder than writing the first book. At least for me. It doesn’t flow as easily, the words don’t come as fast. It’s difficult to try to find the true voice of a new main character. I think this is a stage/phase many writers go through. I think it’s okay to be in this stage/phase for a while. Someone ought to make one of those charts that identifies the stages of writing, like the ones they have for those who lose a loved-one. Stage one: denial, etc. For writers, it might be, stage one: fear, and so on. I’ve just submitted a first draft of my WIP to my agent. I’m in the I-can’t-believe-I-wrote-that-how-will-I-ever-fix-it stage. The manuscript is sitting on my desk. I walk around it and pick up a page or two every so often. I read it over, set it down. I’m not ready to tackle it just yet. I know it needs a lot of work, and it’s easier to just take the dog for a walk instead. You can see the post I wrote on Kathryn's blog. In the good old days of publishing, the role authors had to play was very different from the one that they are expected to play today. Editors would help their authors through the publishing process, offering advice and support, and publishing houses would aggressively market their author's books. Authors would do book signings and the like, but they did not have to pound the streets promoting their own books. Nowadays editorial hand holding is not as common as it used to be- though there are some wonderful editors out there who are supportive and helpful - and authors are expected to do a lot more on their own. Since 2007, in an effort to help first time authors navigate the daunting publishing process, a group of first time authors formed a group. This group, Class of 2k7, was such a success that two more groups formed in 2008 (Class of 2k8) and 2009 (Class of 2k9). 1. Since 2007 groups of first time authors have been coming together to form Class of 2k7, Class of 2k8 and now Class of 2k9. What is the purpose of these groups? The purpose of these groups is that it's a way to have strength in numbers and promote our books as a group. However it's also about moral support for each other, a group of debut writers who are going through the publication process for the first time, who can bounce ideas off of one another and be there for each other. 2. What has the response to these groups been? The response to the groups has been very positive. Librarians, teachers and booksellers are aware of the groups and thus get to know the titles and the members. As for the publishing response, editors and houses love to see their authors being proactive with their own promotion. Also, Elizabeth Bunce, a member of the class of 2k8 won a William Morris Award this past year, Sara Zarr, a member of the class of 2k7 was a National Book Award Finalist for her book Story of a Girl and Jay Asher, also a member of 2k7, is the author of the best-selling, Thirteen Reasons Why. As for 2k9, so far we've been doing quite well if I do say so myself: we've received a few starred reviews, MY LIFE IN PINK & GREEN made the indie bound top 10 list for books coming out in Spring 2009, and Rosanne Parry's HEART OF A SHEPHERD also made the list in the ages 9-12 category. Kathryn Fiztmaurice's book THE YEAR THE SWALLOWS CAME EARLY was chosen as the launch to the Bowen imprint and Suzanne Williams' book BULL RIDER is a Junior Library Guild selection! 3. Do you think changes in the children's book industry were largely responsible for the creation of these groups? I think the changes in the children's book industry may have contributed to the need for group and the need for collective marketing efforts. Especially in today's tough economy, the 2k bond is extremely important. But I also think that writing can be a solitary and sometimes lonely activity and so authors like to take advantage of opportunities to meet and get to know other authors.4. How did learn about, and get involved with, 2k9?I'd read about the 2k classes online and it seemed like a good idea, so I applied and got accepted and I've been very happy with the experience! 5. Your book My Life in Pink and Green will be coming out in March of this year. How has 2k9 helped you promote the book? 2k9 has been so helpful in promoting MY LIFE IN PINK & GREEN. I'm participating on a panel at the VA Festival of the Book in March with Fran Cannon Slayton (WHEN THE WHISTLE BLOWS,) Ann Haywood Leal (ALSO KNOWN AS HARPER) Edith M. Hemingway (Road to Tater Hill,) and Ellen Jensen Abbott (WATERSMEET.) I'm also participating on a panel at the Hudson Children's Book Festival in May with Danielle Joseph (Shrinking Violet) and Ellen Jensen Abbott. It's great to be able to participate on these panels at these great festivals. I doubt I'd get to do it without the collective enthusiasm and strength of 2k9. 6. Have your fellow 2k9 authors provided you with support during this journey of yours? They have provided me with so much support. It's great to be able to email the group with a question or a quibble. It's a wonderful thing, also, to sign online to check email and see a whole slew of congratulations on a starred review. They are a wonderful, wonderful group of people. 7. Tell us the story of My Life in Pink and Green. How did it come to be written? 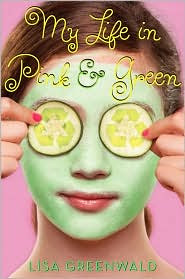 After you completed the manuscript what did you do next?MY LIFE IN PINK & GREEN was a very collaborative effort between my agent Alyssa Eisner Henkin (who is fabulous!) and me. We discussed the story and worked on what plot points to bring out, what characters to keep, etc. She tweaked outlines and drafts before we ever sent it to editors and then when we did send it out, we got positive responses! After that it found a home at Amulet Books with a wonderful editor named Maggie Lehrman and we worked on it together as well. 8. What advice would you give to people who have written a book and want to find a home for it? I would suggest researching publishing houses and literary agents. Familiarize yourself with the industry so that when you reach out to editors and agents you're reaching out the right people. Read as much as you can, and don't skip the acknowledgments in books. Often you'll find out what editors have worked on what books through the acknowledgments and you'll get a little bit of a sense if your book will appeal to that editor.9. What advice would you give to first time authors who are new to the children's book industry?My advice is to write what's meaningful to you. Don't worry about writing something "commercial" or "literary." Just write what you care about and the heart and the passion will come through. Also, try to be patient and optimistic. It's very easy to get discouraged but sticking with it and working hard is very important. 10. What are you going to do next? Do you have another book in the works? I'm working on a few different things, playing around with different ideas. I'm also trying an "adult" story out. The main character is 22 so that's why it's "adult." I love writing for tweens and teens but this character just came to me and I have to give her a chance. Thank you Lisa for spending some time with us here on TTLG. Take note that Lisa is offering young readers ages 9 to 16 the opportunity to win copies of her book and other delights. Visit the contest page on her blog for more information. Good morning everyone. I would like to tell you about an exciting event that is taking place next week beginning on Monday March 9th. Share a Story – Shape a Future is a week-long event where people who believe in the power of reading will blog about their ideas. Their goal is to offer tons of practical advice about reading that is free of statistics and educational jargon. “We don't want to point fingers and tell people they have to read. Our purpose is to offer ideas on ways reading can be part of their everyday experience,” says Terry Doherty, one of the event organizers. From March 9 to 13, 2009, blogging librarians, teachers, parents, authors, illustrators, and other people passionate about literacy will be writing about different aspects of reading. Each day has its own theme, with a host blogger and several guests. The organizers also have several giveaways planned, including a number of books related to reading. There will also be lots of free, downloadable content that includes ideas for making bookmarks and templates; links to book lists, children's book reviewers, and resources for selecting material; and tips for reading with kids and getting involved with your community. For more information please read this flyer and visit the Share a Story - Shape a Future blog. Being a part of this event is a great way to learn more about how we can all work together to help our children to love and enjoy books of all kinds. My thanks to Terry Doherty from The Reading Tub for telling me about this worthwhile event and for all her hard work. Last month I read and reviewed a fantasic book called Where I Live. It was written by Eileen Spinelli, a writer and poet who has created many splendid books for young readers. 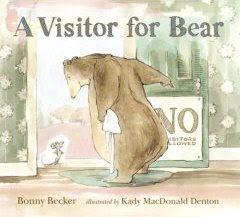 The story is written in blank verse and it beautifully captures what it is like for a child to leave a home and friends. This is what Eileen had to say about her book and her work. 1. Where did the idea for this story come from? I guess there wasn't a single idea. I know from my own life--as well as the lives of our children and grandchildren--that moving is difficult. Saying goodbye to familiar rooms, friends, neighborhood is a painful experience. So I wanted to speak to that issue...but also the issue of looking at the difficulties of life with hope and spirit. I wanted to touch on caring for family--as the characters care for the grandfather. And also how writing can help us sort things through. 2. How did I set about writing this story. I had a very loose outline of where I wanted the story to go. 3. Was it difficult to make the poems flow in a narrative style? Actually it wasn't. I have a much harder time doing straight prose. The nice thing about telling a story in verse format--is I can make broader leaps from one point to another. 4. Is there some of you in Diana, your main character? There is almost always something of me in every character. In terms of Diana and me--we both love writing and poetry. We both love the night sky. I actually won a poetry contest when I was a teen. I remember my dad being out of work a couple times when I was a little girl. I got a new red bike when I was about 11 and oh did I love that! 5. Did you experience a difficult move when you were Diana's age? with family and friends there. Still--there was that sense of saying goodbye that I had to get past. I most especially missed the town library. . .which is where I spent many happy days. 6. What got you interested in poetry in the first place? That library! And a wonderful librarian called Miss Armstrong. She encouraged me to check out collections of poetry with my storybooks. Also--when I was about ten I picked up my dad's copy of Walt Whitman's "Leaves of Grass"--and though I didn't really understand much of the content--I loved the way the sounds of the words washed over me. It was like music. 7. Do you find it hard to make the switch to writing prose. Not really because I do a lot of picture books and they tend to have the "feel" of poetry...as though they come from the same place within. 8: How can we help children feel more comfortable with non-rhyming poetry. I guess if I were teaching poetry I would begin with non-rhyming. Get children used to that first. Help them to get the feel of the beauty of language ...the way even something that does not rhyme--has a certain quality of rhythm ...music. Have them write many non-rhyming poems. Encourage them to read those aloud so they can hear the flow and cadence. Later I would bring in rhyming poetry--another possible way to express thoughts and ideas. Talk with them about the particular difficulties of rhyme--ie avoiding "forced" rhyme...rhyme that is that because of sound but not content. 9. Do you write everyday? I wish! I do try to write more days of the week than not. 10. If you get stuck what do you do? Thank you so much Eileen. It was a pleasure to 'talk' to you. Labels: Eileen Spinelli, Where I live. March, with its tempramental weather and its promise of spring, is here. I had a great time putting together the new issue of Through the Looking Glass Book Review becasue I did a feature on Women in History. To be honest I often review books about strong fictional and factual women, but this month I made a point of finding books that would show my readers what women of all kinds have done to make the world a better place. Take a look at this feature to find books that are about women who were artists, musicians, scientists, and more. You can find more biographies about women in the biography feature section. Spring officially begins on March 20th, and there are lots of books in the Spring Feature to choose from. Share some of these books with the children in your life and you will find that you will start to get a springish bounce in your step - even if it is snowing outside! For those of you who like The Wind in the Willows, I have posted a profile about Kenneth Grahame, who wrote this splendid book. I try to read about Mole, Rat and Toad at least once a year. 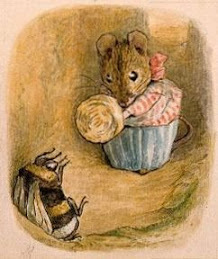 I find that this magical story grounds me and reminds me that the simple things in life really are the most important. Publisher Spotlight: Charlesbridge - a splendid smaller publishing house that puts out some wonderful books including Jerry Pallotta's interesting and entertaining alphabet books. Series Spotlight: The Thief Trilogy - a trio of stories that explore some of the most most important emotions that we humans struggle with. Beautiful writing combined with vivid characters makes this a winning series. Don't forget to look at the Bookish Calendar and the Author/Illustrator birthdays as well.